functions of human body. 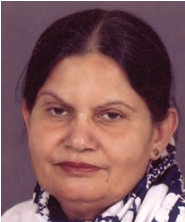 It is intimately related with Human Anatomy, Biochemistry, Pharmacology, Pathology, Behavioral Sciences, and is called as the “Mother of Medicine”. 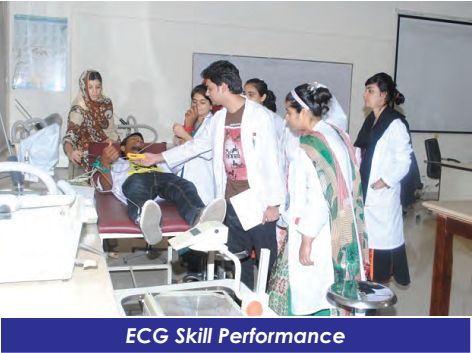 physiology laboratory is very well equipped with latest and modern gadgets, apparatus and instruments like Biopac , Spirometer, Stethograph, Ergometer, Binocular microscopes, Ophthalmoscope, Perimeter, PEF meter, Centrifuge and ECG machine etc. 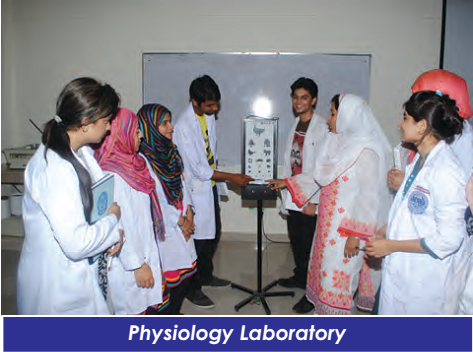 The laboratory is also provided with overhead projector and multimedia facilities such a provision at our disposal will benefit students maximally in demonstrating CDs and conducting tutorials and experimental work. based discussions. 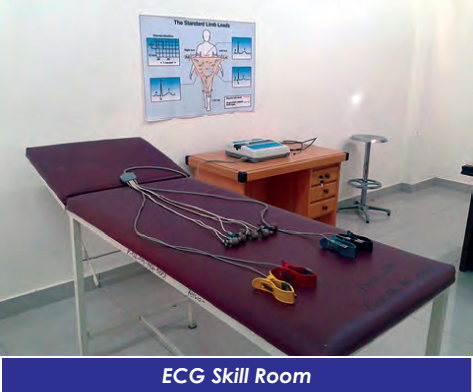 Recently a separate well equipped ECG room has been established where students learn the skill to take and read ECG under the guidance of their teachers and then practice among themselves.